Knee High by the Fourth of July... long gone saying! When I grew up in Wisconsin the saying always was, "Knew high by the Fourth of July" in regards to the corn growth. I now live in Iowa so I am not sure how tall the corn is in Wisconsin but the old saying is completely thrown out. 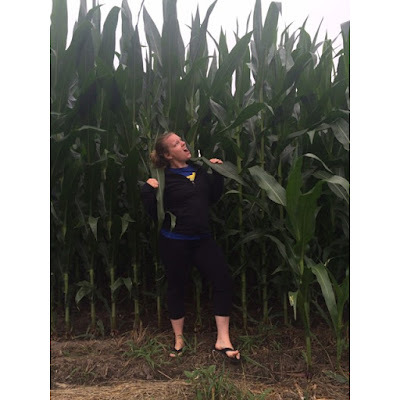 Yes I know I am short...under 5 feet tall but this corn is still ginormous. So is this because of GMO's? Fertilizers? Whats the deal?